Normally, I’d be writing this post from a red chair inside WUOG, tucked in a corner of one of the downtown coffee shops, or from my desk on Dearing Street. But instead, I’m writing in the corner of my childhood bedroom about three hours away from Athens. 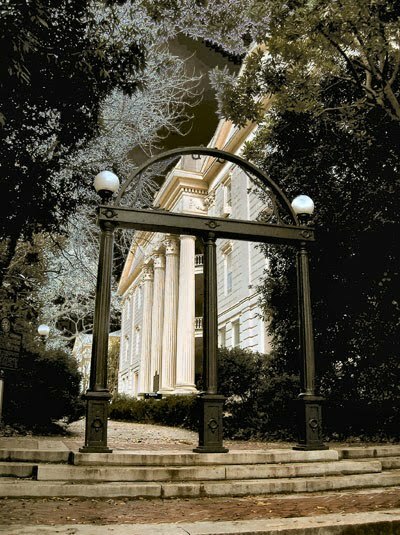 You see, I’ve never really explicitly stated this on the blog, but until Saturday, I was a student at the University of Georgia, majoring in Newspapers (brilliant, I know) and Music Business (again, wise economic choice). I had a steady student-job that unfortunately expired when my time at the University did. While I’m still writing for Flagpole, I am, for all intents and purposes, now unemployed. Now why am I telling you all this? Well, there once was an Athens, GA based blog that I loved to read. About two years after I started reading it, the person posting informed us that he had actually moved away from Athens a year prior and had been re-using posts. I felt utterly betrayed and I’ve sworn to not do the same thing to anyone who stumbles across AthensMusicJunkie. Since I’m now jobless, I’ve had to move temporarily from Athens to my parents’ house. I’m one of the lucky ones getting out without a drop of debt to my name. But I live in an attic, listen to music, and blog. Talk about your unflattering stereotypes! But damn, I love AthensMusicJunkie. This site began almost two years ago as an online diary and now look at it! Some 530 Twitter followers, 425 Facebook Fans, and many, many links exchanged. Featured in Conde Nast Traveller (with The Whigs), Rolling Stone Germany (R.E.M./Minus 5), The Village Voice (Pylon)….Never in a million years did I think we could go this far. And the best part? WE’VE ONLY JUST BEGUN! What will change on AthensMusicJunkie? Honestly, not much. Until my Youtube account becomes un-hacked there won’t be any new videos regardless. I plan on going back to Athens constantly for shows so there will be reviews. Technology is grand so I can still give you cd reviews, interviews, and news briefs. The only thing missing will be the weirdo day to day random happenings that I so enjoy. See, I worked out this plan on the off case all of my dreams came true and some band was dumb enough to take me on tour and write/blog/video/photograph it a la Bill Flanagan. Besides taking over the music journalism world, having a hand in band management has been a serious interest of mine. But the new blog plan involves a lot more research, a few more appearances from our awesome friends Ziona and Sofia as well as some well versed Athenians, and way more album reviews. Long story short: I’ve moved temporarily, I will be back. AMJ will continue and be better than ever. I love this blog WAY too much to let it go right now. Thanks for your time, patience, and support. So PLEASE keep sending in your stories, PR pitches, and everything else to athensmusicjunkie@gmail.com. I look forward to seeing you tomorrow. You know it's “intents and purposes” right? Did you really major in newspapers? Hahaha. You're right anon. That's what I get for trying to write so early in the morning. It's been fixed. Thanks.